LIBERTY COUNTY, TX (KTRK) -- The body of a man was pulled from a retention pond on the south side of SH 105 at CR 318 around 12:30pm Thursday. The man reportedly had been kayaking on the pond when he disappeared. His disappearance was reported to the Liberty County Sheriff's Office just before 10am The caller told the sheriff's dispatchers that the "older adult male went under and nobody saw him resurface," said Capt. Ken DeFoor, spokesperson of the sheriff's office. The man has been identified as Leobardo Ovidio Gonzalez, 60, of Conroe. 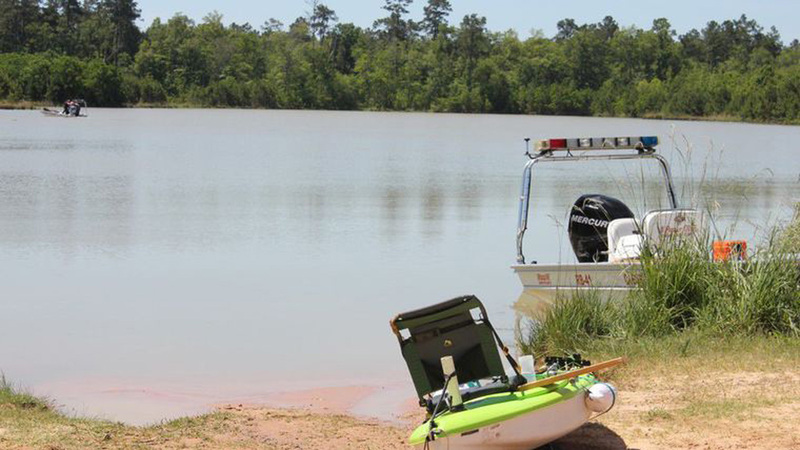 The search is on for a man who went missing just north of the Texas City Dike.